Don’t throw away empty toilet paper rolls. 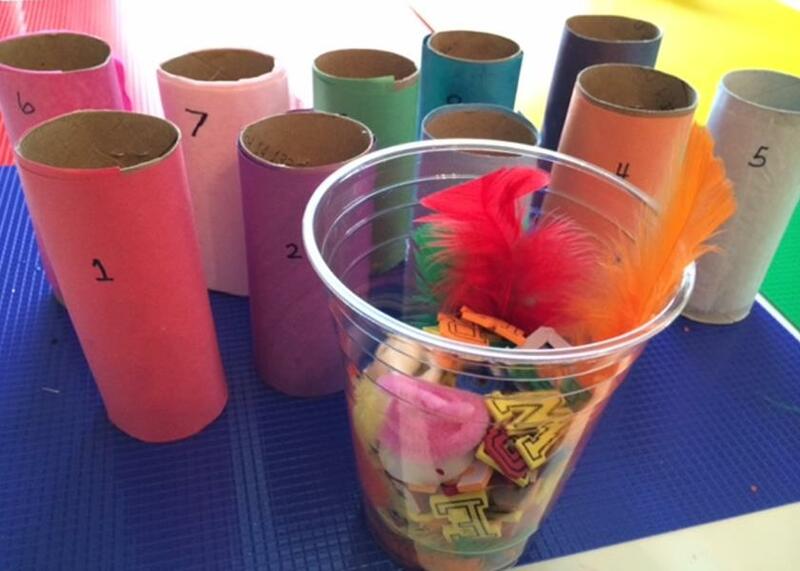 Recycle them to make bowling pins and sorting games. If you don’t have toilet paper rolls, cut empty paper towel rolls in half to create two toilet-paper-roll-sized tubes. Click here to see how we made binoculars out of paper towel rolls. 1. 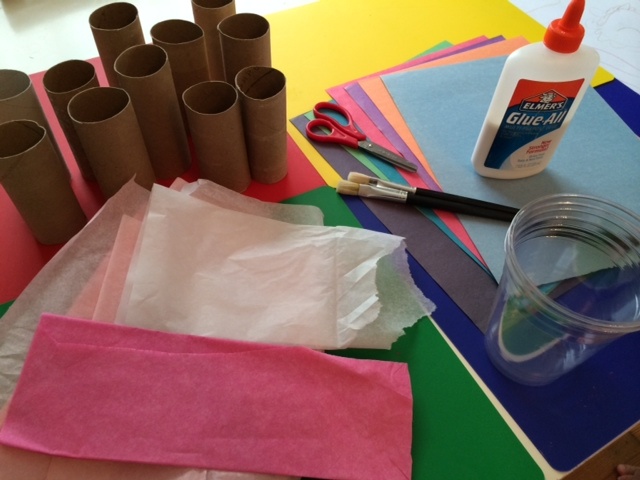 Lay a toilet paper cardboard tube on a sheet of construction paper or tissue paper to mark the length of the tube. Cut out a rectangle from the paper to wrap around the cardboard tube. 2. Dip a paintbrush into white craft glue and let the kids paint some on the cardboard tube and one side of the cut out paper. 3. Roll the tube onto the strip of paper. We stapled the edge of the paper onto the tube to keep it secure. 4. Repeat covering nine more cardboard tubes with nine different colored paper. 5. Once dry, use the marker to write one number on each tube from 1 to 10. 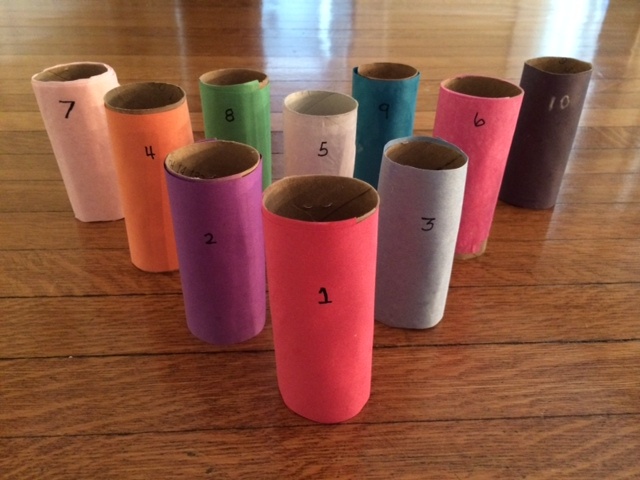 Decorate toilet paper tubes to make bowling pins. Kids can set up their completed bowling pins and knock them down with rubber balls or Nerf balls. Put the tube that reads “one” in the front, put tubes numbered “two” and “three” behind the first pin. Then set up tubes numbered “four,” “five,” and “six” behind the other row. Set the pins numbered “seven,” “eight,” “nine,” and “ten” in the last row. Use a small rubber ball or nerf ball to knock down your homemade pins.